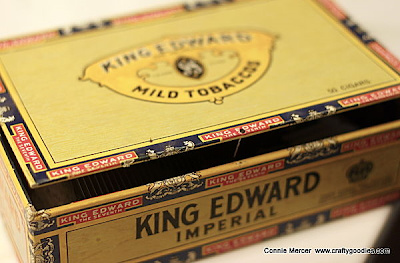 crafty goodies: Cigar Boxes ~ they are not just for cigars ! My grandmother used them to store things in. She had all kinds of stuff in them and she would always ask us ~ you need any cigar boxes? Because they were to good to throw out. I loved how they nailed them closed. My box still has the nail in it that she gave me. It still has the clippers that she gave me also. Told you she used them as storage boxes!!! Little did she know how beloved they would become. 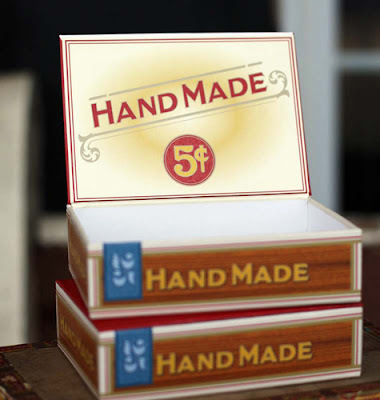 So that is our topic for Try It Tuesday and to help us out JBS has their mini cigar boxes on half price~awesome right!!! And here is the deal ~ $4. You can find the cigar box HERE. Have a great Tuesday and always thanks for stopping by!! 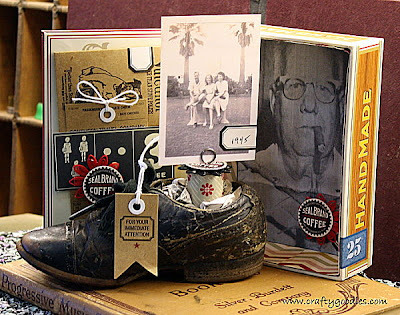 I love that you posted this cigar box idea. I just purchased four boxes (with the little nails still in them) at a yard sale this past weekend ($.50 each) and I wasn't sure what I was going to do with them. Just couldn't pass them up. They are in such great shape! Now I have an idea for at least one of them. I love love love love what you did with that box!!! Looks AMAZING!!! I have one old one that I altered last Halloween!! So much fun to alter them!! I have one full of old letters from my maternal grandparents to my paternal grandmother. Another has old pictures in it. My grandmother always used them to store stuff in. 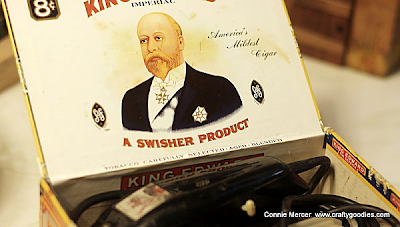 ooooo love the idea....cigar boxes smell good too. Love love love what you did with it! Fabulous, Connie. I remember my Dad's cigar boxes, but my favorite thing was to wear the paper collar from around a cigar as a ring. I thought I was so special. LOL!